Despite the fact that the standard of medical facilities and quality of healthcare in the country is generally good, many of us are indeed victims of medical neglect of varying degrees. 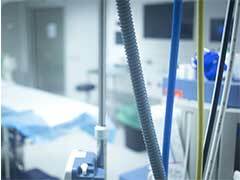 Eternally crowded emergency and trauma sections across hospitals are ideal hotspots for medical negligence where overworked staffs often fail to spot a hairline or interpret a blood test. These errors can eventually prove costly and probably painful to correct later. If you feel that you’ve been a victim of medical negligence, don’t hesitate to get in touch with one of our specialist solicitors to ascertain if you qualify for compensation. There are literally so many things that can go wrong during a visit to a private hospital, an NHS health centre, or even at your dentists. The key is to realise that some of these cases of hospital negligence qualify for claims, and you can expect a fair financial compensation for the troubles you’ve gone through because of the neglect. 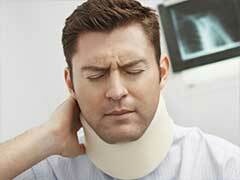 In most cases, you will not be charged any fee if the claim is not approved. Administration errors such as a loss or misplacement of medical records etc. So any type of negligence or neglect at the hospitals, medical centres or private practitioner’s clinic that affects the health condition of the patient can be taken up for compensation. Our established claims solicitors can help with presenting the right facts in the right manner and provide legal representation should the matter reach the courts. Based on statistics, most medical negligence cases do get settled out of court to avoid any publicity and loss of goodwill. Apart from of course getting quality professional help, there are a few things you must remember to do. Proving medical negligence can get quite challenging without adequate records. Right from the moment you suspect negligence, make sure that you get your hands on all your medical records. Medical history will prove helpful in letting people know that you did not have any medical complications prior to this treatment. Also, file a claim at the earliest convenience as you may not be able to accurately recollect details at a later date. Our claims solicitors help you gather proof of negligence, obtain a second expert opinion to strengthen the case of neglect, negotiate with the party accused of negligence for fair compensation out of court, and legally represent you at the courts should the need arise.